Fenty Beauty‘s Body Lava is back and with a new shade called “Trophy Wife”! The color was inspired by the brand’s highlighter of the same name. Rihanna stars in the ad campaign for the product, which is available for a limited time only. Styled by Jahleel Weaver, Rih shimmers in a golden look inspired by the new body luminizer. The superstar sported a one-of-a-kind dress by Morphew. Although Morphew is known for their vintage finds, this dress is actually an original design. Made of metal mesh, it features chain detail, an open back and a slit at the side. Rih also donned a custom pair of crystal-embellished sandals by René Caovilla. In this shot we get a closer look at her jewellery. 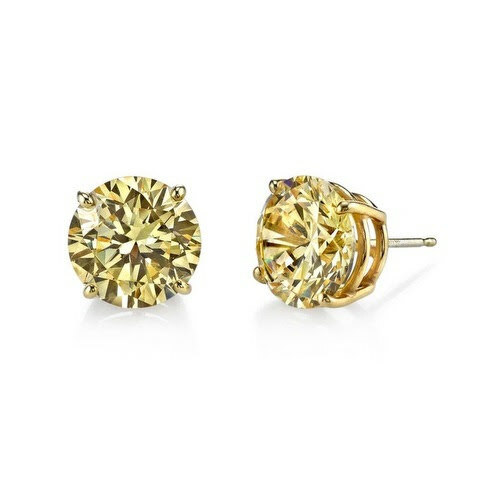 Rih wore this pair of yellow diamond stud earrings by Harry Kotlar. 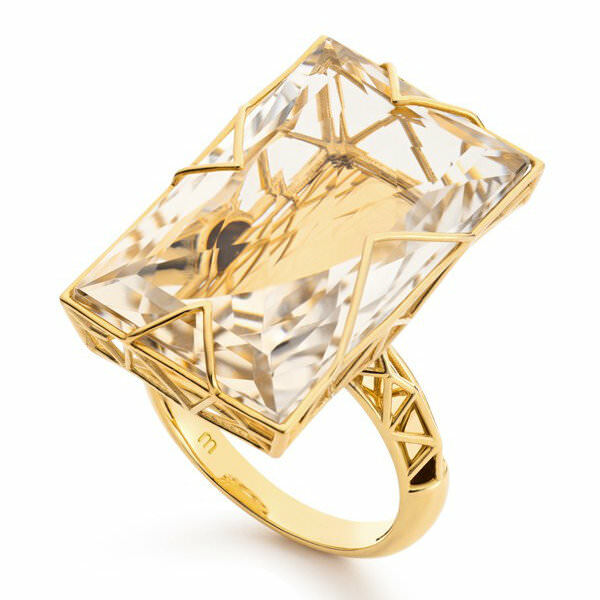 That eye-catching ring is one of Maxior‘s origami pieces, which boasts 18k yellow gold and rutilated quartz.